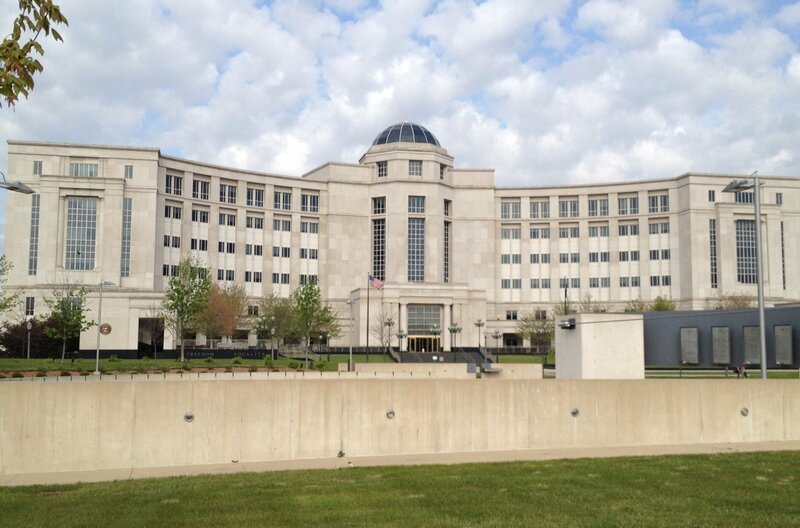 January 14th, 2014: Yesterday about 15 of us attended oral arguments on the DTE ‘opt-out’ program before a 3-judge panel of the Michigan Court of Appeals. We have two appeals before the Court. Cynthia Edwards, Linda Kurtz and Leslie -Panzica-Gloppa, who are represented by attorney Kurt Koehler, filed the first. The second was filed by Dominic and Lillian Cusumano, representing themselves. The judges listened passively to prepared statements first by Mr. Koehler, followed by the MPSC attorney and then the DTE attorney. The MPSC attorney spouted all the usual stuff we have seen from them in the past, including quite a number of blatantly false statements. A typical falsehood was that the issues of health and privacy, which they had refused to consider in the opt-out case, had somehow been decided by an earlier case. Another falsehood was that interveners in this case, who sought to raise these issues only as they related to the adequacy of the opt-out meter, were trying to introduce evidence on these points as related to the wisdom of the entire smart grid in Michigan. The DTE attorney was new to the case and did not seem entirely up to speed on the facts. He stumbled more than once over pronunciation of the name of DTE’s star witness. Finally Mr. Koehler was given a few minutes to rebut, but apparently there wasn’t time enough to rebut all the falsehoods the Court had heard. Almost no questions were asked by the judges, or none, at any rate, that would provide any clue as to which way the judges were leaning. There was no presentation by the Cusumanos who had not requested oral argument. The passivity of the judges we don’t feel should be taken as any reflection on their opinion of our appeals as we sat through hearings on 4 other cases before ours and they were the same way on all the cases. At the end the presiding judge indicated that our cases were “submitted” for decision by the Court. Our understanding is that the Court’s decision will likely be mailed to us within 2-3 weeks, though there is nothing definite about that. If the Court overturns the DTE’ opt-out’ plan, they will most likely remand it back to the Public Service Commission for a do-over with some specific instructions as to what they found lacking in the original hearing that must now be remedied. This entry was posted in Actions by Public Service Commission, Actions by State Government, Legal Challenges and tagged DTE Energy, DTE meters, Michigan Court of Appeals, smart meter fraud, smart meter health effects, smart meter opt-out by Vigilant Dave. Bookmark the permalink. You will lose this case.